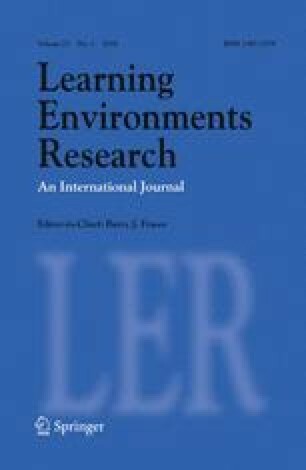 The purpose of the current study was to estimate reliability, internal consistency and construct validity of the Measure of Instruction for Creative Engagement (MICE) instrument. The MICE uses an iterative process of evidence collection and scoring through teacher observations to determine instructional domain ratings and overall scores. The results demonstrated the sound inter-observer reliability, teacher stability and score validity of the MICE. We found (a) a low proportion of rater variance (0.14–5.99%), (b) moderate to highly correlated within-teacher ratings ranging from r(17) = 0.663, p < 0.01 to r(17) = 1.000, p < 0.01 and (c) a statistically-significant difference between classroom teachers and teaching artists, t(56) = 7.37, p = 0.000. These results relate to the development of classroom environment instruments and the substantive development of pedagogy that supports creative thinking and behaviours, both of which are a priority for enhancing teacher accountability and student learning. This research was supported by a grant from the U.S. Department of Education (PR/Award No. U351D140063). Geverdt, D. (2007). Remote towns and rural fringes: An overview of the NCES School Locale Framework. Washington, DC: U.S. Census Bureau. http://aasa.org/uploadedFiles/Policy_and_Advocacy/files/RemoteTownsRuralFringes.pdf.